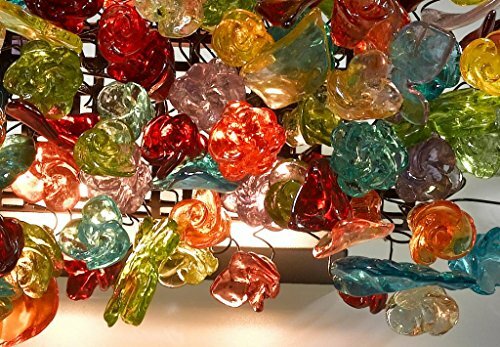 Colorful Floral Wall Sconce Lamp Shade - Home Decor - Decorative Light Fixtures for Home, Office, Hall, Bedroom & Living Room - Unique and Romantic Gift Idea. 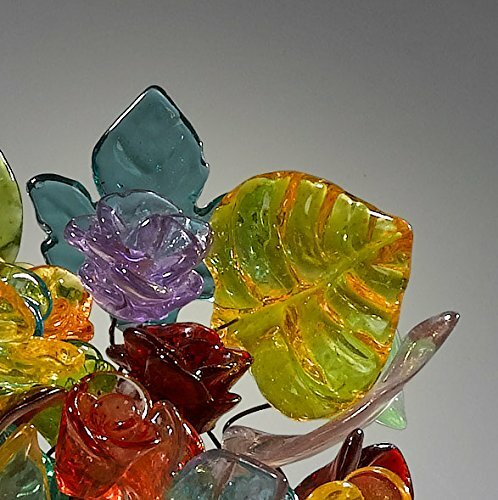 A beautiful statement garland of colorful flowers and leaves. The light shines through the polyester flowers and creates a stunning and delicate shade on the wall. This beautiful and elegant wall sconce creates an uplifting and joyful atmosphere. 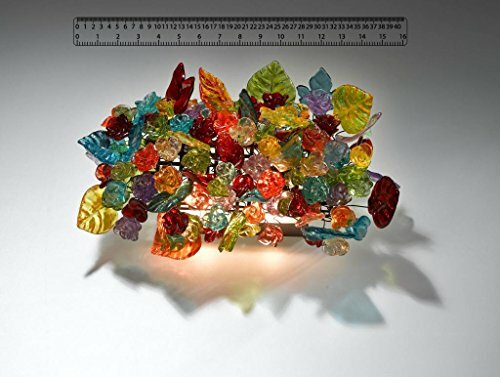 It is an elegant and unique, piece of jewelry for your foyer, living room, dining room, kitchen, bedroom or bathroom. Handmade wall sconce chandelier. 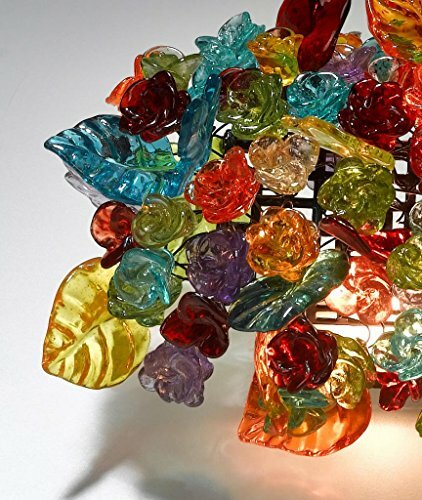 Made out of polyester resin flowers attached to brass and copper wire. 2 G9 bulbs of 60W. Maximum light 120W. Bulbs are included. The lampshade is at the size of 16 in. X 8 in. The fixture measures 16.5 in. from the wall. View our full range of beautiful and stylish lamps through our Amazon storefront - simply click on 'Decor Magic' under the product name. If you have any questions about this product by Decor Magic, contact us by completing and submitting the form below. If you are looking for a specif part number, please include it with your message.